Today: How to choose and use your pantry's saviors. 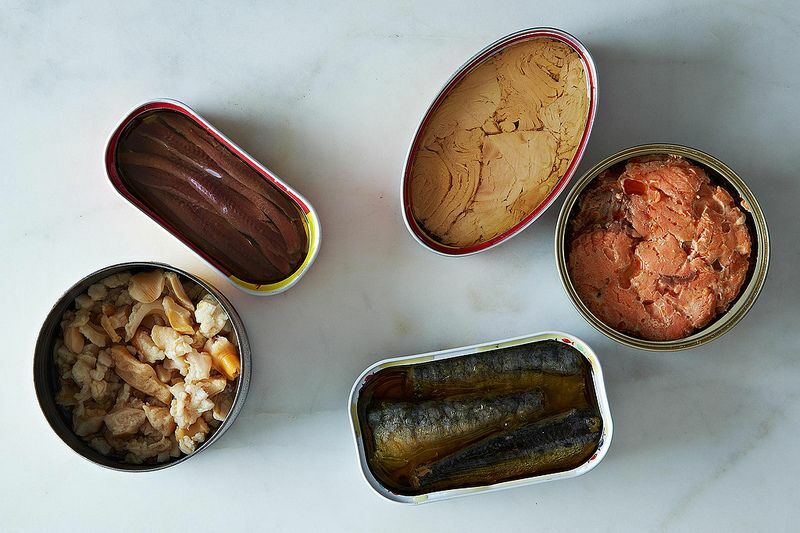 Everything I learned about canned fish I learned in kindergarten. Mainly, tuna sandwiches get soggy. Fast. But today, with many eco- and health-friendly options, the biggest problem is no longer two floppy pieces of bread, but deciding which brands to buy. 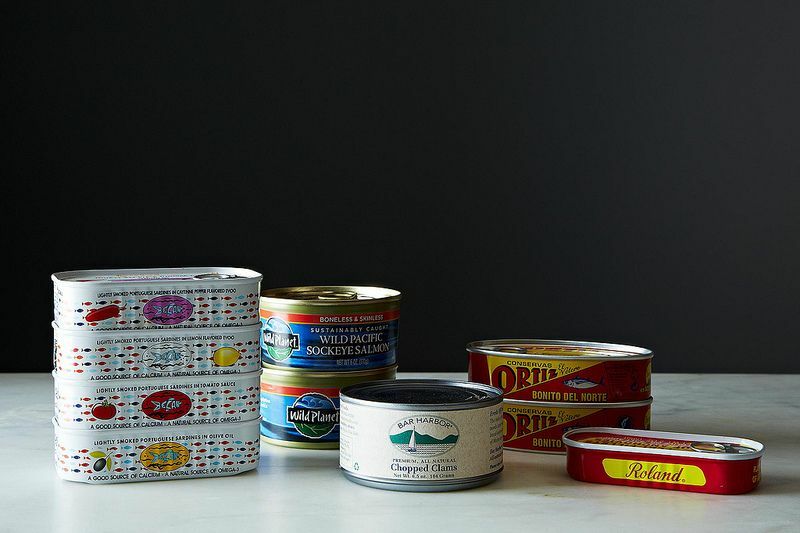 And that’s why we’re going to break this canned fish situation down. Before we dive into the specifics, let’s go over some basics. To determine sustainability, look at catch method, catch location, and species. These details will help decipher if a product was fished responsibly, and enable cross-checking with resources like the Marine Stewardship Council, Fishwise, and Seafood Watch (if you so wish). As for catch method, choose products labeled as troll, pole and line, hook and line, FAD-free, or school caught. These terms refer to selective fishing measures that limit disruption to the environment and bycatch (or inclusion of non-targeted fish like dolphins, turtles, Ariel...). For health benefits, keep things natural. Fish packed in water, olive oil, or flavored sauces means fish that has been cooked twice (i.e. drier meat and lost Omega-3s). To retain superfood super powers, choose salmon and tuna cooked in their own juices, once. And look for labels that read “fresh-caught” or “never frozen.” Rough translation: rich flavor, no need for mayo. Overall, just avoid ambiguity. 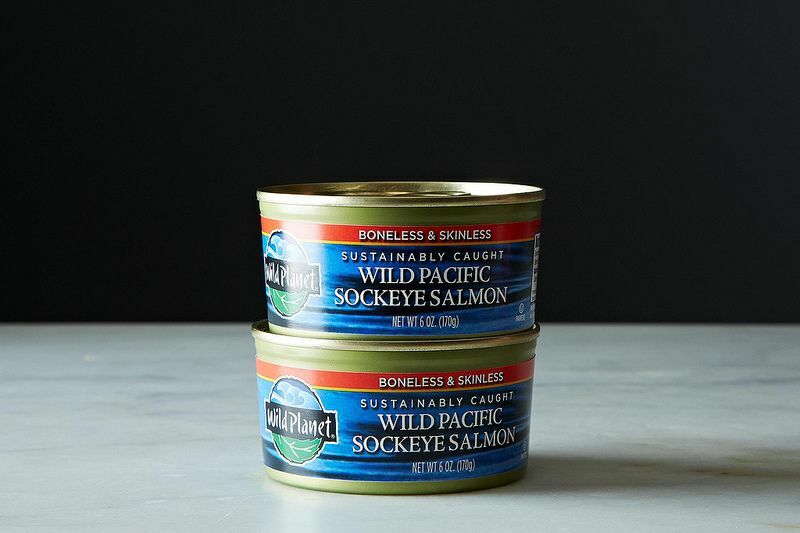 If you have a choice between tuna or a can of wild-caught Albacore from the Pacific Northwest, go with number two. The more information the better. Because let’s be real -- would you rather accept a blind date with “a man” or a man named Michael from Virginia with a degree in neuroscience? I think I’ve made my point here. Both wild-caught skipjack (alias: light tuna) and albacore (alias: white tuna) from the Pacific Northwest and British Columbia are sustainable choices. But here’s the catch: larger albacore tends to contain more mercury than smaller skipjack. So when buying albacore, pick brands like Raincoast, Wild Planet, and American Tuna, which specifically target smaller and naturally lower-mercury fish. Any species of wild-caught salmon from Alaska is a sustainable choice due to the awesome regulations in these parts (go Alaska!). Just avoid anything farmed or from the Atlantic. For a quick fix, try spicy salmon tacos, miso-flavored salmon fried rice, salmon cakes, or Salmon Kedgeree. 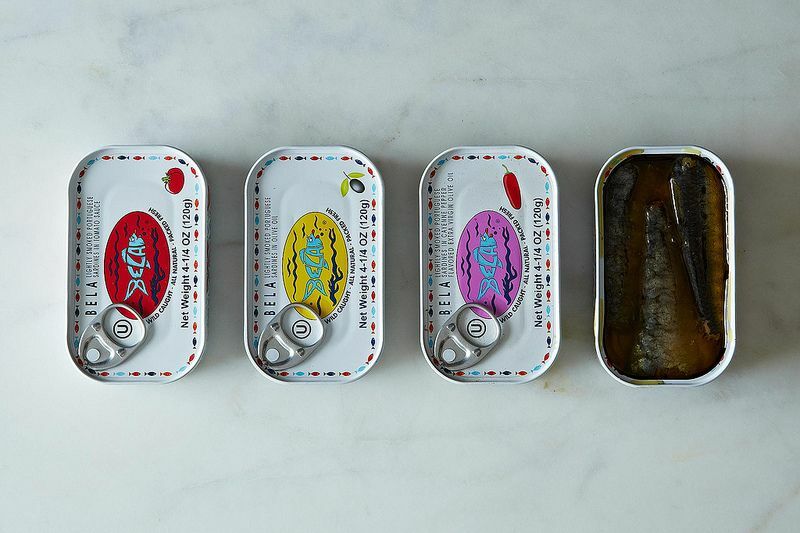 Because they reproduce quickly, sardines rule as the poster child for sustainable seafood. But catch location remains important; choose Pacific sardines over those from the Atlantic and overseas to avoid overfishing. Because most products come packed in flavored oils and marinara sauces, sometimes all you need is a cracker or a fork. A toasted baguette with a dollop of mustard doesn’t hurt. And of course, there’s always butter. Most edible anchovies hail from Europe, with only one Argentinian fishery currently receiving MSC certification. 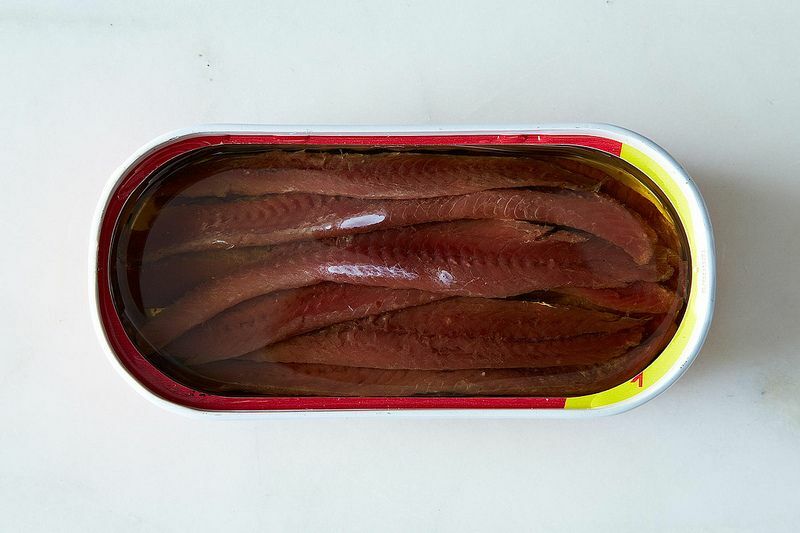 So finding sustainable anchovies gets, well, a little fishy. For an eco-guarantee, look for the MSC seal; use “product finders” like the one on friendofthesea.org; rely on your earth-friendly grocer; or use Pacific sardines instead. Skip the salt, add the anchovies. Use this tutorial for pastas, pizzas, dressings, and meals even kids will enjoy. Because they are typically cultured and farmed, oysters and clams fall into the highly sustainable category. Make dinner for breakfast and mix oysters and clams into a Sunday morning hash. Or this bloody mary. Or both. 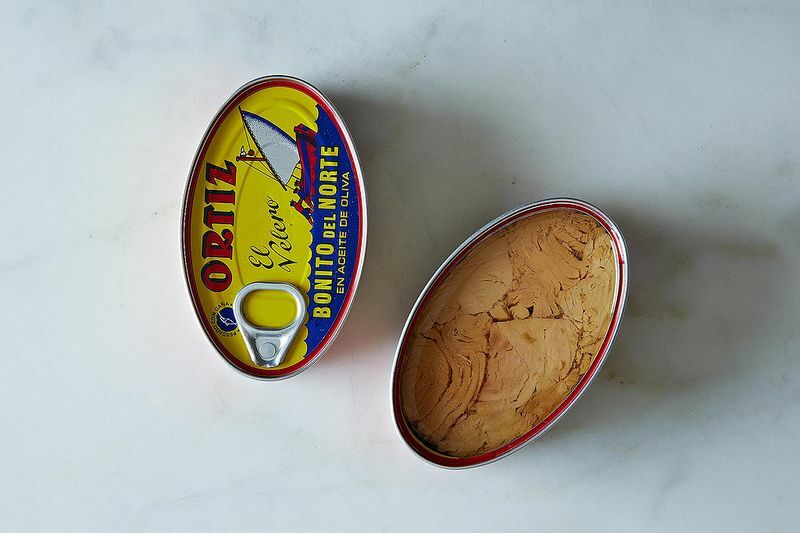 What are your favorite ways to use canned fish? Let us know in the comments!